This choice is easier if you have purchased or rented a residence overseas.If you have the room sizes and floor plan, you can easily determine how your furniture and possessions will fit in the rooms, but also consider the hallway, stairway and elevator/lift dimensions. In other words, will the piano, oversized entertainment center, sectional couch, or other furniture fit in these passageways? If you don’t have housing arrangements made, make sure the items you are taking are important to you and your happiness in your new location. 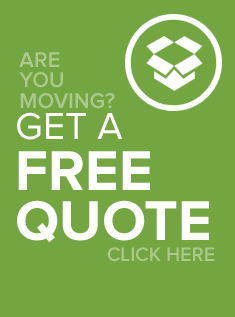 Contact OSI three months prior to your moving date for a free estimate. Plan what items you want to take with you to your new home. Make an itemized inventory list and determine the value (in U.S. Dollars) of the items for insurance purposes. Gather all documents (passports, inoculation records and visas, if necessary) and valuables to take with you. If you purchased new goods be sure to have the invoices available. Provide OSI with your overseas address, phone number and email address, so that we can contact you and keep you informed of your shipment’s status or you can track your shipment yourself on our website using our real-timetracking system. Read the customs information page we provide for your destination country. Laws are subject to change without notice. Everyone should know their rights regarding customs regulations. We recommend that you contact the Consulate’s Office for the latest information. Valuable and important papers such as family records, birth certificates, marriage documents, financial information and other like documents. Check with customs regulations, or call the consulate for other possible restrictions in your destination country.